Abios continues to expand as they release their new Abios Match Ticker Extension. The new updated chrome extension has improved its esports coverage functionality, covering a total of 11 games as of today, and added stream-following across all major streaming platforms. 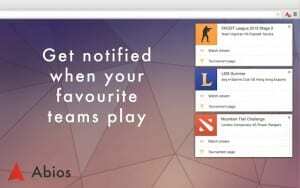 The new extension also allows the user to follow and get notified for specific teams, players and matches. The entire look and feel of the extension also received an update to give it a more user-friendly and modern style. These features will make it even easier to follow all the esports action you desire. “With the popularity and great feedback the extension has received it only makes sense to invest more in the platform” says Anton Janér, founder and CTO at Abios. “We are excited to bring users the first platform where they can follow and receive notifications, not only for when their favourite streamers go live, but also their favourite teams, players and tournaments”. 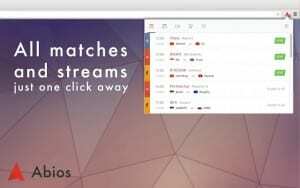 Users will never miss a match after installing the Abios extension. All matches and their streams are always one click away. 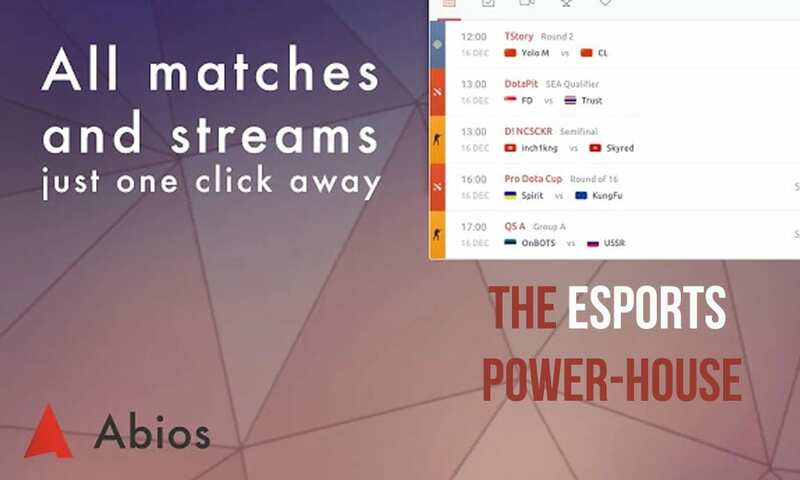 The availability of the Abios Match Ticker Extension will enable more gamers to find events, scores and enjoy esports. Abios has added a subscription feature to the new extension allowing you to not only follow specific games, but any team, player or tournament in their 11 game coverage. You can also be notified when popular streamers go live. With the addition of live updated results and tailored subscriptions, the extension can manage all the esports you can fit into your calendar. You won’t miss a match. Abios was founded by a group of gamers and students in Sweden in 2013. 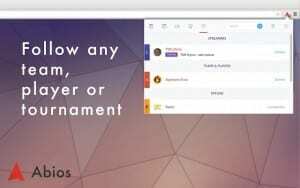 Over the past two years, Abios has implemented a series of innovative features to facilitate the following of esports. The company is passionate and dedicated to improving esports and providing the best possible coverage.